As an educator in the ESL field in our public schools for over 15 years, I can attest to the increased level of anxiety among many immigrant families, partly due to the DACA (Deferred Action for Childhood Arrivals) program being rescinded (canceled), but especially because of all the heated public discourse surrounding immigration that has taken place across the U.S. since the 2016 presidential election campaign. In fact, much of the discourse taking place in both English and Spanish-speaking media sources have contained an alarming amount of misinformation about DACA, immigration enforcement practices, and other related subjects. Our immigrant parents and families often don't know whom to trust for reliable information, but they should always be confident that they can count on the public schools in their community. It is important for school staff to both inform immigrant families about the DACA changes and at the same time reassure them that our schools are a safe place for their children. One of the things I have discovered over the last few years is that in applying for DACA protections, many immigrant families have actually needed the cooperation of school officials. DACA applicants must demonstrate that they have lived in the U.S. continuously for at least five years, and one of the best ways to do that, of course, is to provide proof of continuous enrollment in the U.S. school system. I have personally assisted around 15 families in their application process and provided them with school reports that document their children's educational history. However, in my region and state (Mississippi) very few school officials know anything about DACA or understand that schools may be needed as part of the application or renewal process. In fact, I know of one disturbing case in which a school principal even denied providing a school document to an immigrant family simply because DACA was something the principal had never heard of before. One interesting observation I have surrounding the entire DACA process is how family initiative and motivation have changed over time. In the several years after the program was begun in 2012, little-by-little several families in my school district with EL, immigrant, migrant, or other similar students took the initiative to contact me in order to obtain the school documents that would help substantiate their applicant’s case. I did not advertise at all to our families that they could solicit assistance from our schools in meeting DACA requirements, but over time my fellow ESL staff and I have developed effective, trusting relationships with our families, and they know they can talk with us about almost anything. In the beginning with the first requests for information, I myself knew almost nothing about DACA or what it entailed, so I had to read about it online and inform myself about what these families were trying to do. After helping the first few families to obtain the school documents they needed, I felt familiar with the process, and more importantly, I started getting positive feedback from families whose children had successfully been approved for DACA protections and benefits. Since the rescinding of DACA on September 5th, 2017 and the establishment of the October 5, 2017 deadline for DACA renewal, in my school district there has been a notable change in the number of family requests for DACA-related assistance. While I cannot speak for every employee in my district, in recent weeks I personally have not received a single phone call, message, or visit from any parent requesting school information pertaining to their child’s enrollment in order to assist in a DACA renewal case. I am not sure whether this is due more to the existing misinformation/lack of information surrounding DACA changes combined with the short turnaround for renewal, or whether this is an example of the increased fear of deportation and sense of betrayal that many people may feel after having provided personal information to the federal government, where officials now refuse to rule out using that information against them. I suspect that all of these causes have contributed to the recent decline in families initiating and participating in conversations surrounding DACA within our schools. Given the language and socio-cultural barrier that many parents of DACA-eligible children confront on a daily basis, and now the increased fear that many of them are experiencing, it is important and timely for public schools to remind families of our mission to educate ALL children. We continue to serve students and families as we always have. Moreover, every school district needs to have someone with an awareness of what eventually happens with DACA, as well as with any future possible legislation in Congress such as the DREAM Act or even comprehensive immigration reform, for they may have significant impact on our students. 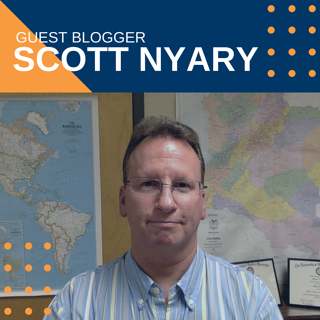 Scott Nyary is the EL Coordinator / Lead ESL Teacher / Title III Coordinator for the Lamar County School District, located near Hattiesburg, Mississippi. He has a Master of Arts in Teaching Languages degree from the University of Southern Mississippi and is certified to teach both ESL and Spanish. For three years he taught EFL in Bogota, Colombia, after which he was an instructor for one year at Southern Mississippi's English Language Institute before beginning with Lamar County 17 years ago. Over the years Scott has helped the Mississippi Department of Education in crafting the state's EL guidelines and in providing EL-related professional development. 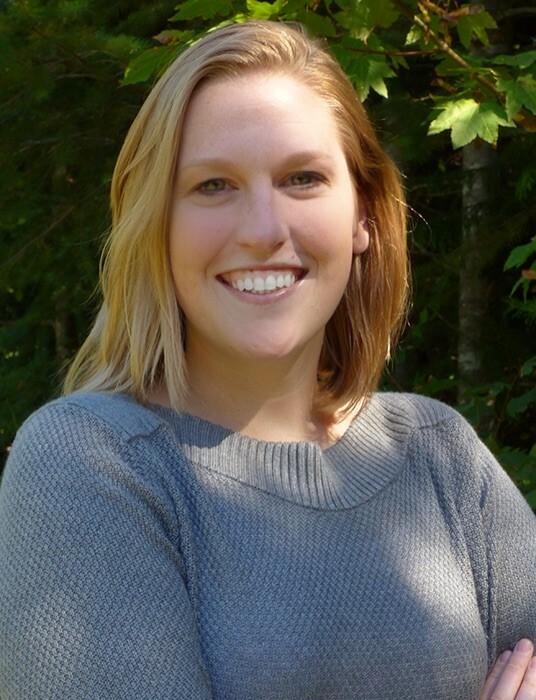 Scott also works extensively as a Spanish-English interpreter and translator for his school district.